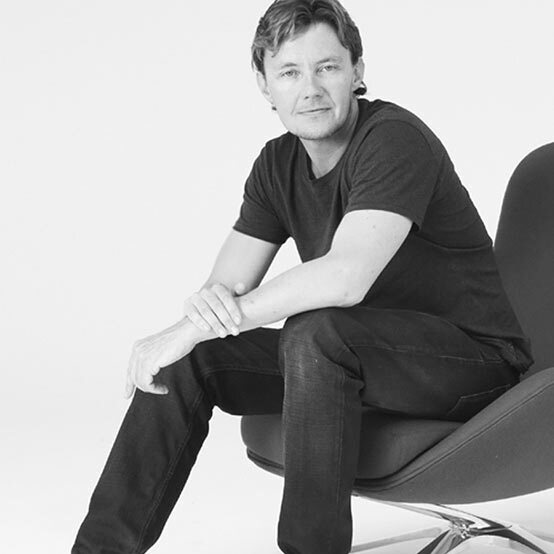 Charles Wilson is a free-lance industrial designer best known for his design of upholstered furniture. After graduating from the University of Technology in 1991, Charles formed a co-operative workshop with fellow graduates developing a collection of experimental furniture. His first production design was the SW1 Swivel chair for Norman + Quaine, the piece that introduced his work to Woodmark. It is now held in the permanent collection of Sydney’s Powerhouse Museum.